Kono Naturals is a line of therapeutic CBD products. CBD is the miracle compound found in hemp that naturally treats certain skin conditions, topical pain and more. 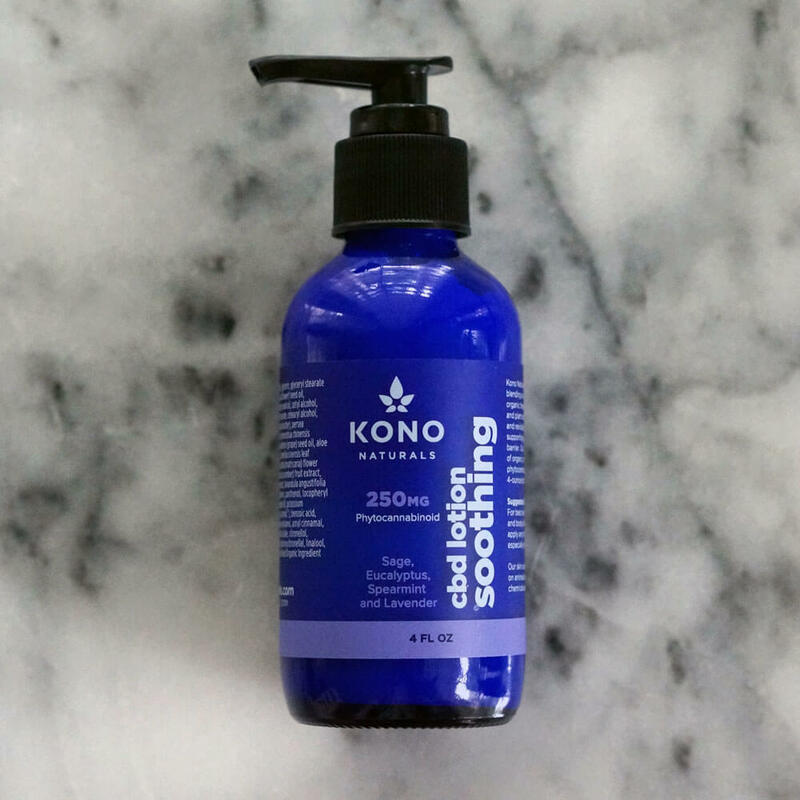 Kono Natural’s CBD lotion is certified organic, free of chemicals and available in a variety of soothing scents. You don’t need a medical condition to benefit from Kono Naturals’ skin nourishing properties. CBD lotion is an anti-inflammatory that increases circulation, smoothes wrinkles and prevents blemishes for healthier and younger looking skin. Pro tips: Try using Kono Naturals CBD lotion on your temples for stress relief and on your neck before bed for a good night’s sleep. Kono Naturals CBD lotions may provide natural relief from: Muscle soreness, Joint pain, Arthritis, Headaches and migraines, Eczema, Psoriasis, Dermatitis, Acne and blemishes, Bug bites, Trouble sleeping.